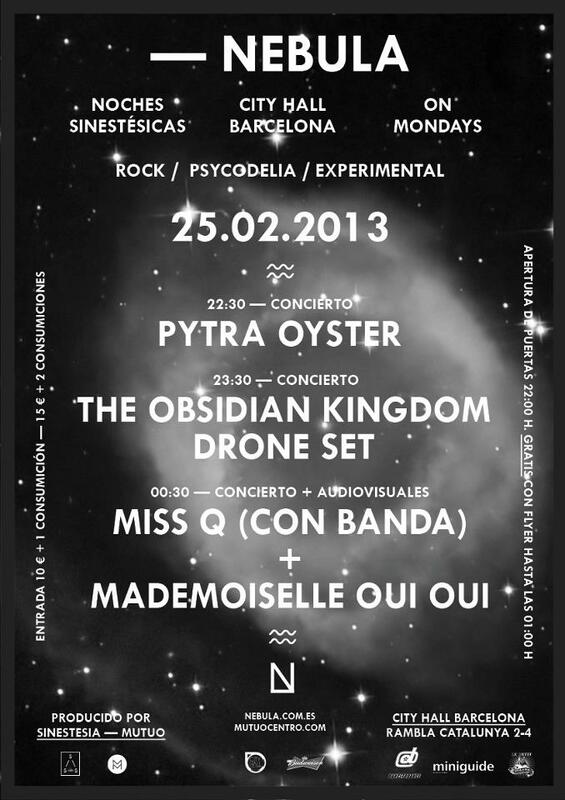 The Obsidian Kingdom Drone Set will make another appearance next monday, February 25th, at City Hall – Barcelona. We’ll perform at the Noches Sinestésicas Cicle along with Pytra Oyster and Miss Q. Our special guest will be Hugo, the sax player. It will be a night full of experimentation where no boundaries will remain intact – you can join the event for free admission, so you have no excuse!